Tell us about your role and journey. What led you to join GBH Insights as an advisor? Throughout my career, I’ve always been intrigued with observing consumer behavior and response to different factors — looking for ways to improve product and customer experiences or pivot marketing strategy to better meet the needs of customers. I was an English major in college, and a core area of focus in writing is character development and archetypes, which are the centerpiece of any great story. Storylines are a dime a dozen, but characters and their behavior are crucial to how the conflict evolves and is resolved. That character focus continues in my work today leading marketing research, segmentation, data analytics and marketing strategy. Consumers are the characters in any business story and the best brands meet and exceed their customer needs as they evolve. I was drawn to GBH by a few things. The GBH team, including our co-founders Jon Greenwood and Eric Bradlow, have a shared passion around gaining a more complete understanding of consumer behavior through data. Advanced data analytics are core to what we do, but a vibrant curiosity to get ahead of consumer behavior is embedded in GBH’s culture and defines the way we work. 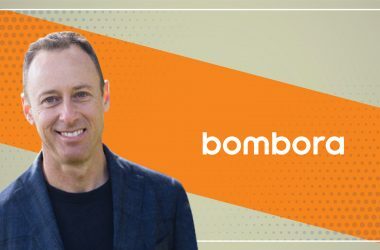 Another big factor for me was the opportunity to continue to learn by working with GBH clients and Fortune 500 brands to solve for some of their most pressing marketing challenges. Brands the GBH team has worked with or for include Microsoft, Adidas, Disney, ESPN, Google, Nike, NBCUniversal, P&G, T-Mobile, among others. Prior to GBH Insights, you were the Global Managing Director at Google, applying data and advanced analytics techniques, and prior to that, you held senior leadership positions at Nielsen, Yahoo!, Mars Inc. and Unilever. What are some of the biggest key learnings in your career and how do you apply them to your role at GBH? The biggest learning may sound trite, but it has always rung true. If you can identify and interpret the consumer behavior signals and actually do something to pivot your products, content and media spend to align to it, you have a much better chance to win in the market. For example, if people are concerned with unnatural ingredients in the products they buy, brands in that category have an opportunity to act on that information and change their products. At the same time, the company needs to rethink how they position the brand, enhance future products to expand their category, as well as updating their supply chain and go-to-market strategy in a way that aligns with the new direction. By staying curious and applying consumer feedback in real-time, companies find a competitive advantage. Brands not only need to monitor their own customer signals, but also look to other categories for clues — not just the one their business inhabits. At GBH, we combine quantitative and qualitative views of the consumer to integrate data, plus opinion. It helps fine tune our observations and recommendations as we work shoulder to shoulder with clients to improve their marketing, sales and customer experience. At the end of the day, every customer is different. The ability to delineate those differences and pivot marketing to attract their attention and purchase is critical. Can you talk more about GBH’s approach to customer research, data and advanced analytics? First and foremost, GBH’s approach is extremely customer-centric. We work backwards from the client need and ask the questions they would like answered. We apply research and insights to help companies undercover future growth opportunities and develop differentiated marketing strategies — from branding and segmentation to product development, pricing and customer experience. We also have a unique methodology and approach to predictive analytics — empowering clients to make better (and faster) strategic decisions to drive revenue growth. Our team helps clients to identify and source relevant data, build prediction models to acquire and retain high-value customers, understand and apply customer feedback to improve marketing and CX across the entire customer journey. All of this we do with a relentless goal of applying customer feedback in real time. How is customer data and analytics impacting marketers today? How has that changed over recent years, and how can marketing professionals best prepare for the future? Ultimately, success as a marketer requires both art and science. You have to understand the customer as a human being first, and then apply the right data — at scale — to improve their experience. For example, marketing mix models have become the data-driven ROI engine for many brand marketers and CFOs. Yet much of the data is backward-facing and it doesn’t always account for the experimentation and changes you make to campaigns. Keep in mind that you are only as good as your scaled inputs, and it is necessary to model forward and push innovative approaches. While data and analytics are at the core of your campaign, assertive decisions and the open mindedness to learn (and make mistakes) is more important than ever. In essence, start with the consumer problem and work backwards. Make sure that you are using consumer data and opinion to solve the opportunity. Build the right structure, methods, integration and scorecard so your marketing data is central to driving your marketing mix. What are some ways that marketers can leverage analytics and data-driven insights to define their marketing efforts? To affect real change, we need to move beyond the cliche of “data-driven marketing.” With that in mind, the first and most important step is to focus on customer centricity and put consumer lifetime value at the core. Segment your known consumer base according to their potential economic and attitudinal value, and relentlessly push marketing approaches to acquire, retain and develop more known consumers. Also, tailor selective and targeted methods to reach, engage and reward your value segments. Mass marketing is obviously still important, but use it to move those consumers whose value may be identified into a more curated and catered bucket. It’s critical to relentlessly learn what works in the marketing mix across The 6 Ps (position, product, package,price, promotion, place). And make sure to aggregate and centralize data (1P and tempered by 3P). Ultimately, the goal is to create a holistic, personalized customer journey and touchpoints that allow for integrated and real-time feedback. For example, linking across channels (consumer searches, site visits, offline conversions at specific retailers). Building and maintaining a long-term relationship should be central to your efforts, versus just maximizing transactions. What strategies can marketers use to improve Customer Lifetime Value metrics, like reducing churn and improving customer retention and growth? I like to advise marketers to review the Customer Lifetime Value playbook. First and foremost, identify CLV and segment your consumer base accordingly. Use smart marketing (which includes real-time relevant messaging and media) to impact potential customers when they are most receptive, and continuously move them up the value chain through retention and development tactics. Think of a luxury resort that is re-marketing itself to a loyal, high-value consumer when he or she is searching for “luxury vacation to the Amalfi coast.” You can test iterations around messaging and media — including visuals, format, length, daypart, promotion, and more — to see what resonates. Measure what works, and enhance and refine your strategy from there. Continuously learn what motivates high CLV consumers and, conversely, what efforts (or lack thereof) cause lagged behavior or churn. What consumer trends and behaviors should marketers consider to drive higher consideration and conversion across their marketing funnel? In other words what data is most valuable in creating better product, content and media mix decisions? Start by looking at Google Trends to best define the opportunities in your category. You’ll need to determine what is a fad, versus what is being driven by seasonality and what is actually beginning to look like a trend based on steadily rising queries. And if you can, also determine what is declining. To help determine patterns, look at data sets from social media. Explore tech, environmental, economic, political, legal data and look to the extremes to see what differences are emerging. Are there common threads? It’s also prudent to continuously review your 1P quantitative data based on the consumer journey. What has changed or been strengthened? Look to parallel and opposite categories for ideas to innovate. Always stay close to the consumer via cadenced qualitative research, to temper with opinion and help formulate hypotheses, monitor behavior and get ahead of what’s next. I define Artificial Intelligence as simulated intelligence in machines that systematically elevates its cognitive thinking towards that of human thinking. To best prepare for the future as a business leader, you’ll need to embrace rapidly evolving technologies, how consumers behave relative to them and the increase in automation. If you assume AI will allow consumers to move even faster, focus on speed of understanding and action. If you assume AI will create more behavioral change, be more agile in organization, decision making and systems. If you assume AI will disintermediate jobs and roles as the automation machine takes over (e.g self serve fast food counters), focus on the economic accelerants and consumer benefits. If you assume AI will create new opportunity and trends, move to prediction and trend scoring. Let “the machine” create watch lists and cultural clue observation. Keep in mind, it’s crucial to temper all of this with staying connected to real people, in order to best comprehend their emotions relative to AI and its impact on them. What are your predictions on the most impactful disruptions in marketing for 2020-2022? 1) Detailed understanding of the most valuable customer journey. 2) The content to motivate them along the path. Speed is essential today, and will be even more so in the future. Real-time analytics, with continued smarter, faster and more relevant real-time messaging and promotions, will become a determining factor in the success of your campaigns. At the same time, attracting and retaining customers will not go away… so mass marketing will still exist as an inexpensive option especially in the online world. Another megatrend is the rise of voice search and conversational UIs such as Alexa, Google Home, etc. According to Comscore, more than half of all search will be voice search by 2020 — with smart speaker home penetration expected to exceed 55% by 2022. In line with this trend, the way marketers approach search and website-specific optimization will continue to evolve. In addition to voice search, augmented and virtual reality are developing a strong foothold in the US, with IoT, AI, Machine Learning and other technologies rapidly evolving. As brands pursue opportunities across these channels and technologies, the demand for marketers and data scientists who can effectively turn data and insights into action will only continue to grow. I encourage my team to stay well read, well versed and connected to the new in any field. It’s also important to pay close attention to culture, since technology is interwoven into so many different facets of our society. How has it manifested itself in the arts, entertainment, fashion, food, sports, music or travel? We often get stuck, focused on our day-to-day grind. But it’s important to look beyond that for inspiration. Get out of the office, network and explore, and actually use new technology… all while questioning its viability and impact. Waze. It’s become my navigation brain. Spotify. I need my music for my myriad journeys. On the Snow. My favorite snow report, which includes skiing conditions and a social review app for every mountain resort on the planet. Even if I can’t get there, I can dream. Google Docs. So simple, real-time and collaborative! Work very hard to focus on the big stuff with big impact. Get it done… and save the small stuff for later. “Adventures on the Wine Route.” It’s a wine buyer’s tour of France, by Kermit Lynch. But it’s not just a book about wine. It’s an homage to the world of time-honored and hand-crafted product excellence that expressed a sense of individual personality and place. It details the battle of the individual versus the scaled approach to sameness and efficiency-in-production, which was taking root. While the book is 30 years old the concepts still ring true. You only get a go on this big blue marble once. There is absolutely nothing to lose. Amy Webb, the noted Futurist who wrote: “The Signals Are Talking.” She uses observation and data to stay abreast of what might be coming next across business and culture. Thank you, Brian! That was fun and hope to see you back on MarTech Series soon. Brian is a veteran consumer insights, brand marketing and general management executive with extensive experience in the media and consumer products industry. He has held senior leadership positions at Google, Nielsen, Yahoo!, Mars Inc. and Unilever. 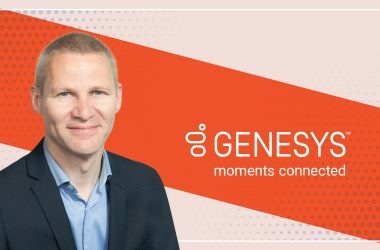 Brian has bought, sold and optimized digital and traditional media, driven analytics and measurement practices and built global and trusted brands. Most recently, Brian was the founder and Global Director of Human Truths at Google where he built a consulting and scale practice that solved top consumer problems for key brands using Google internal data, 3P data plus opinion panels and advanced analytics techniques. 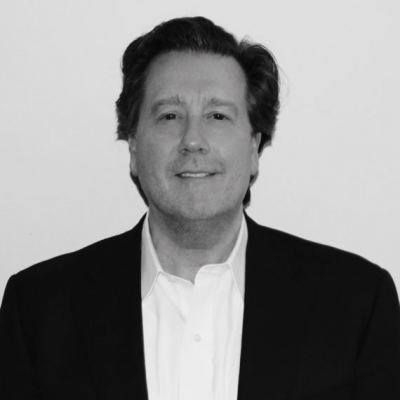 Prior to that as Managing Director, Brian led a large customer sales team driving over $500MM in revenue focused on the sports, fashion and home durables categories, helping clients improve their performance. GBH Insights is a leading marketing strategy, customer behavior and analytics consultancy. We partner with the world’s most customer-obsessed brands to solve some of today’s most pressing marketing and business challenges, improve customer experience and create strategies for growth. We understand the needs of today’s CMO and marketing leaders. We’ve been in their shoes and worked on their side. 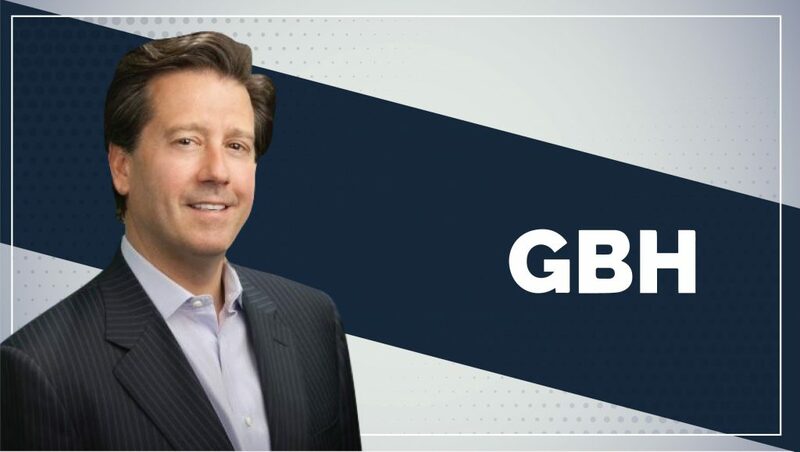 Co-founded by the chairperson of The Wharton School’s marketing department, the GBH team is made up of successful CMOs, marketing research and academic leaders – with experience working with Fortune 500 brands across categories.